PayPal has struck a deal with Mastercard, resulting in, among other terms, Mastercard being presented as an equal payment option within the PayPal Wallet, customers having the option to select Mastercard as their default payment method and Masterpass becoming a payment option for merchants of Braintree, a PayPal subsidiary. The Sept. 6 announcement is similar to the deal struck with Visa in July. The agreement enables PayPal to expand its presence at the point of sale, using Mastercard’s tokenization services, by allowing consumers to use the tokenized Mastercard in their PayPal Wallet to make in-store purchases at millions of contactless-enabled merchant locations globally. 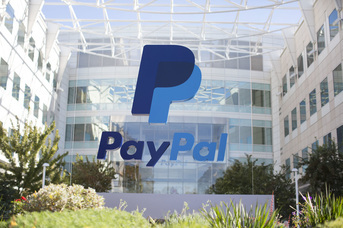 Also as part of the deal, PayPal will be providing financial volume incentives and won’t be subject to a digital wallet operator fee; PayPal will not encourage Mastercard cardholders to link to a bank account via ACH; and consumers and small businesses will be able to instantly cash out funds held in their PayPal accounts to a Mastercard debit card. Data mining is valuable to companies and Mastercard and PayPal will focus on improving data quality by providing transaction-level data for Mastercard issuers. The card brand will also provide greater transparency for transactions at the POS through tokenization and work with issuers to identify consumers who choose to transfer ACH payment flows to their Mastercard cards, according to the announcement. During an earnings call last month, Mastercard CEO Ajay Banga said the payments network was in engaged in “constructive dialogue” to end a dispute over transaction data with PayPal in which Mastercard was concerned about being shut out from merchant and transaction data for sales made via “staged” digital and mobile wallets. Mastercard and PayPal also have agreed to a multi-year extension of the PayPal Business Debit Mastercard program in the U.S., which follows their multi-year extension of the PayPal Extras Mastercard co-branded consumer credit card program. But £1.2bn was stolen during the same period.